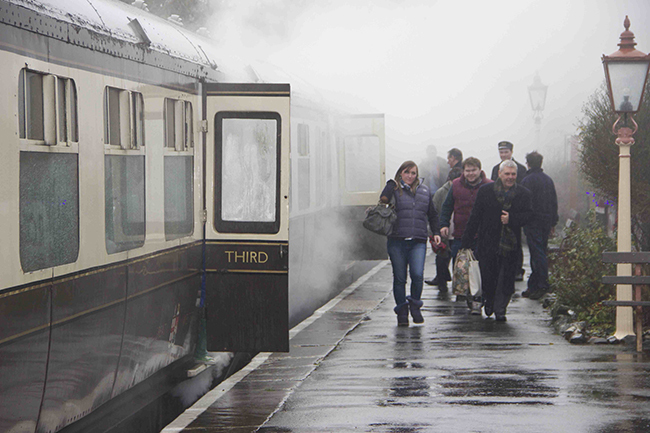 The Boxing Day services on the South Devon Railway were a great success. 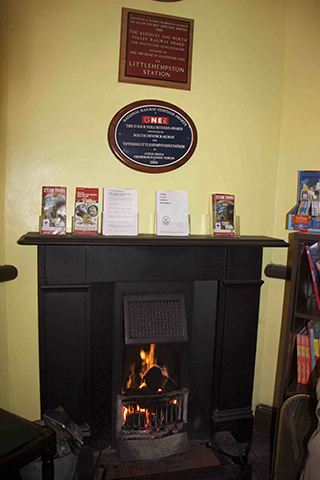 The weather was dreadful – heavy rain all day – but roaring fires in the booking offices at Buckfastleigh and Totnes greeted arriving passengers, together with a warm steam train with fully-stocked buffet car staffed by Richard Underhill. L92 had been on the front of the train since early in the morning heating it through, with Ben Greening and Rob Oaten on the footplate. John Harris was the guard, and Alasdair Page TTI; Gordon Hall was in charge at Buckfastleigh (as regulars would expect) and Joe Clowes at Totnes. 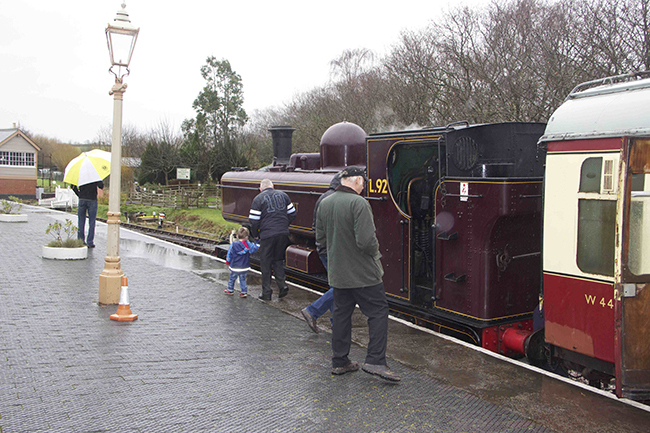 Trains left Buckfastleigh at 11.30am, and 1.30 and 3.30pm, pausing for 15 minutes at Staverton on their return journey. 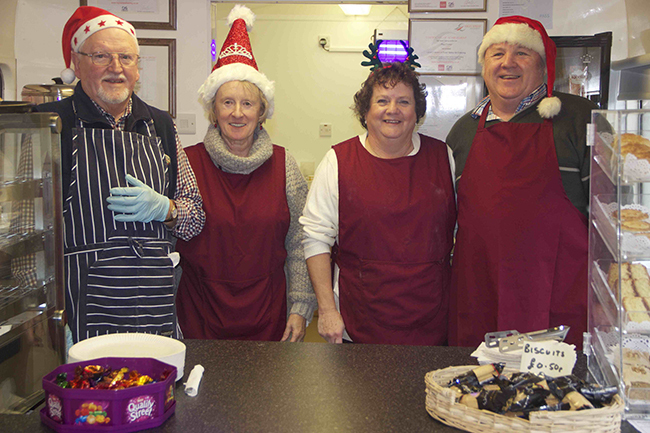 There, the team of Sue and Steve Bates and Sue and Bill Parratt had the cafe coach open for the sales of cakes, biscuits, hot and cold drinks and hot soup and pasties, and did a roaring trade. 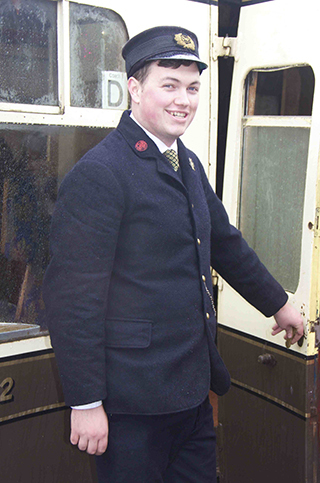 Trains were agreeably well filled, the museum at Buckfastleigh opened its doors for visitors, and a good day was had by all, helped along with some good publicity. Definitely something worth repeating in future years!